Flip to Increase in pig iron and steel production, January 1, 1940-January 1, 1945. 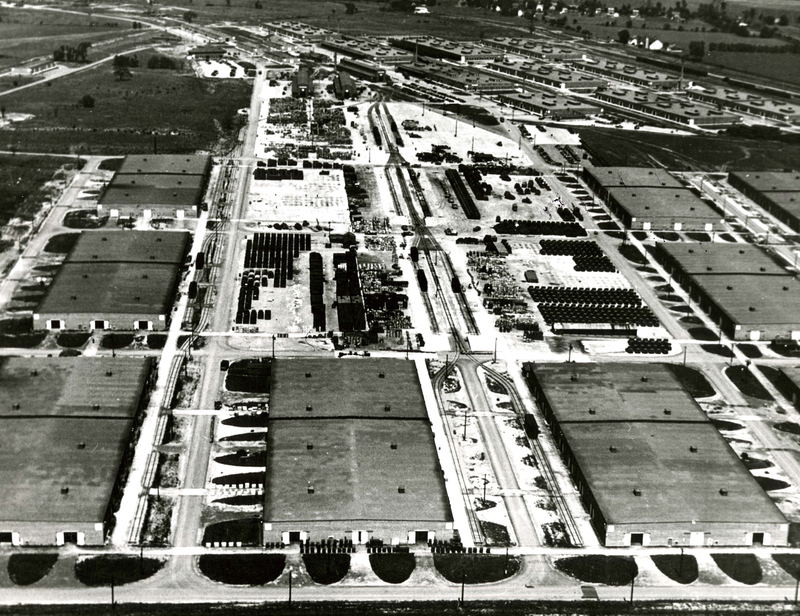 The largest of Pennsylvania's more than 16 military installations, the 21,000-acre Letterkenny Ordnance Depot handled more than 3 million tons of ammunition, bombs, and other ordinance during the war, which it stored in more than 800 "igloos." Letterkenny was so large that it drained the surrounding countryside of the labor needed for agriculture. Today, the Letterkenny depot remains one of the top three employers in Franklin County.